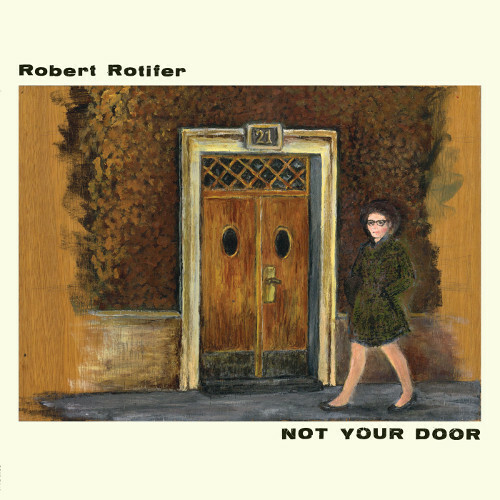 Not Your Door is a deeply personal album for Robert Rotifer, taking in his present life living in Canterbury, Kent, as well as his past, growing up in Vienna. But with its themes of family and the very notion of home it aims to resonate with many. As with other Rotifer releases it also has a political edge and the timing of its release, coming after the European political landscape changed when Britain voted to leave the EU, gives its tale of an Austrian who has made his home in England added resonance. The first five tracks focus on his English life, as an artist, journalist and parent. Opener If We Hadn’t Had You is a deliberately non-mawkish look at parenthood that takes in his own sense of wonder and worries of having children while referencing the ongoing aftermath of the war in Iraq, where parents continue to live in fear that each day with their child may be their last. Meanwhile in my Machine takes in our obsession with technology and its affect on real living. This is a theme that was also touched on in his John Howard and the Night Mail track last year, London’s After Work Drinking Culture. Elsewhere on the album’s first half, Passing a Van looks at Shrodingers immigrant, who are perceived by Brexiters as a drain on the economy, while at the same time working hard and paying taxes in jobs such as working in care homes. With his fellow Kent residents voting to leave the EU by a whopping 59% you can see why he felt the need to write this track. On side two Rotifer travels back to Vienna, visiting old haunts and key childhood memories. Falling off a bike in front of laughing workers on The Piano Factory and encounters with skinheads on Top of the Escalator are two such memories that many will have experienced in similar ways. His incredibly interesting late grandmother Irma Schwager also features on two songs, Irma La Douce and the title track. As a Jewish communist she was forced to flee Austria during the Second World War, fought as a member of the French resistance and then returned home. Across the album there’s a deliberate focus on lyrical content with instrumentation often taking a back seat. This gives it a folk feel in places, with hints of John Martyn at times in Rotifer’s acoustic guitar work. The sparse production has also meant he has had to be ruthless at times, in particular axing a version of If We Hadn’t Had You, featuring a saxello solo by Canterbury based jazz veteran Tony Coe. This version has been released separately as a single though, to ensure it is not lost. Also, while Rotifer band members, bassist Mike Stein and drummer Ian Button, appear here, they are used sparingly, hence the album being released under the name Robert Rotifer rather than Rotifer. While it lacks the energy of Rotifer’s last release The Cavalry Never Showed Up its low key feel works well, especially in capturing how lives are affected by events such as war and most recently the EU referendum. Robert Rotifer – Not Your Door is released by Gare Du Nord.